Correspondent Saglam went on to describe the explosion and the fact that she has witnessed the increased usage of chemical weapons by ISIS militants on the Iraqi citizens. This is not the first time ISIS has used chemical weapons on innocent civilians. 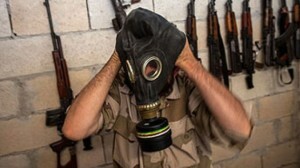 Just two weeks ago ISIS was discovered having used chemical weapons against Kurdish civilians. The use of chemical weapons is in direct violation of the Geneva Convention and constitutes a war crime under United Nation protocol. Of which, Iraq is a member state, which permits UN oversight and adherence to the Convention’s resolutions. The UN must immediately send in investigators and UN Peacekeeping troops to bring a halt to this horrific display of crimes against humanity, investigate these occurrences and bring charges against those responsible.